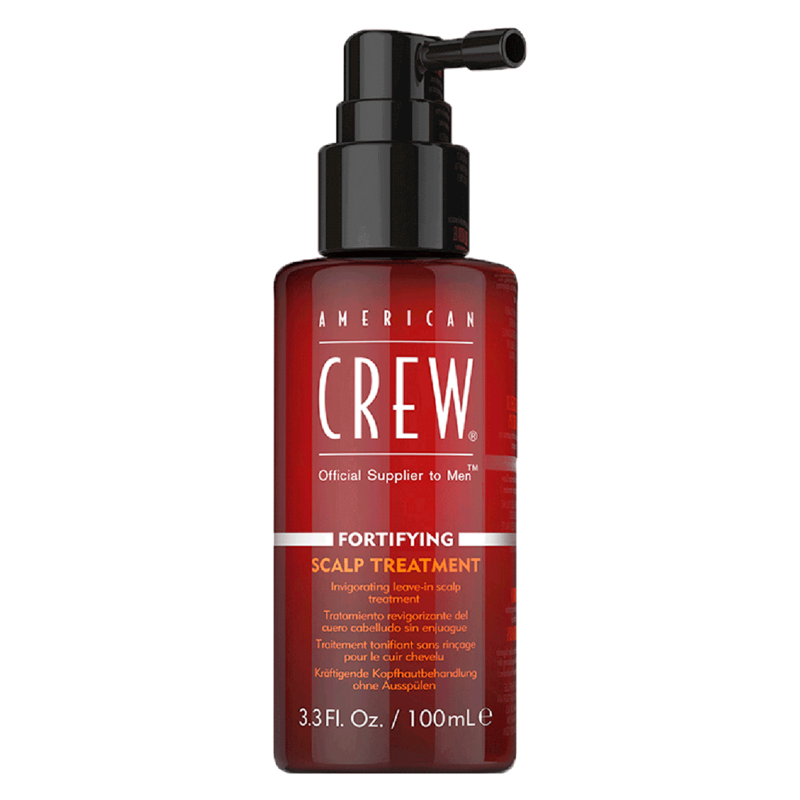 American Crew Fortifying Scalp Treatment is an invigorating leave-in treatment that invigorates the scalp, strengthens the hair and improves hair volume. Formulated to make your hair feel stronger, thicker and prevent hair breakage. This fast absorbing formula does not weigh hair down and allows you to move on with your day without any inconvenience. Use as a direct application on scalp, gently massage in. Do not rinse. Use daily. Aqua/Water/Eau, Alcohol Denat, Butylene Glycol, Ethoxydiglycol, PEG-60 Hydrogenated Castor Oil, Keratin Amino Acids,Panthenol, Alcohol, Menthol, Hydrolyzed Vegetable Protein PG-Propyl Silanetriol Humulus Lupulus (Hops) Extract, Tocopheryl Acetate, Rosmarinus Officinalis (Rosemary) Leaf Extract, PPG-26-Buteth-26, Glycerin, PEG-40 Hydrogenated Castor Oil, Swertia Japonica Extract, Silanediol Salicylate, Triethanolamine Apigenin Oleanolic Biotinoyl Tripeptide-1, Parfum (Fragrance), Limonene, Linalool. Y00218.